With National Aviation Day approaching, we decided to commemorate the Wright Brothers’ historic first flight with an equally historic and storied (No, not really. But still pretty cool) cocktail. The Aviation Cocktail features gin, lemon juice, Maraschino liqueur, Crème de Violette and an almost mythical backstory. Dating back to the 1910s, the Aviation Cocktail was formerly known as one of the “bartender handshakes,” a term coined for drinks shared among connoisseurs during the cocktail renaissance. Years later, the cocktail slowly fell into obscurity until curious bartenders in the 1990s came across its recipe in the often-consulted Savoy Cocktail Book (1930). The Savoy recipe, which calls for only gin, lemon juice and Maraschino liqueur, was added by bartenders to their repertoires. The cocktail was given a new life in the early 2000s following the discovery of a fourth ingredient, Crème de Violette, in Hugo Ensslin’s 1916 Recipes for Mixed Drinks. 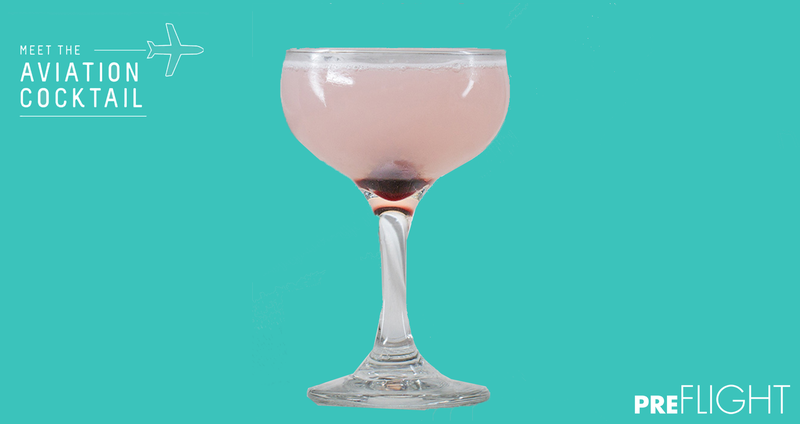 The challenges of distributing Crème de Violette and Maraschino liqueur added to the mysterious air of the cocktail and gave way to its comeback among bar offerings. 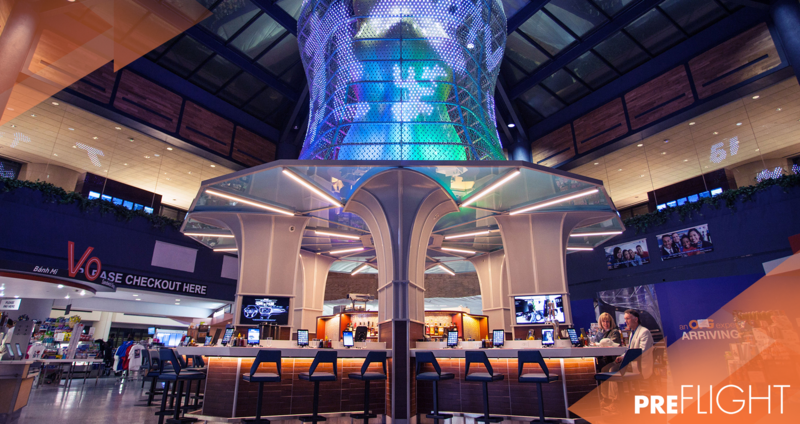 Its origins in the Prohibition Era and its gin base make the Aviation Cocktail the perfect choice for travelers looking to enjoy a vintage drink in the modern airport experience. The Aviation Cocktail will be highlighted from 8/17 to 8/20 at our IAH bar locations. Make sure to sample it if you are in Houston during your weekend travels! 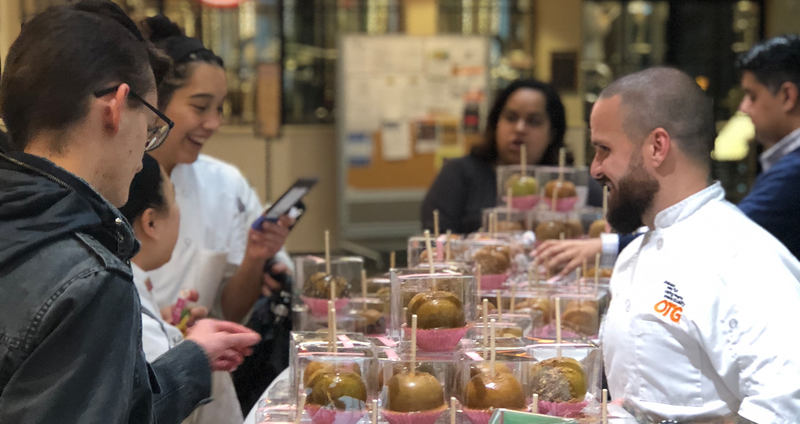 Our team went back to school last week to meet and engage with students from the Culinary Institute of America at their Hyde Park campus. 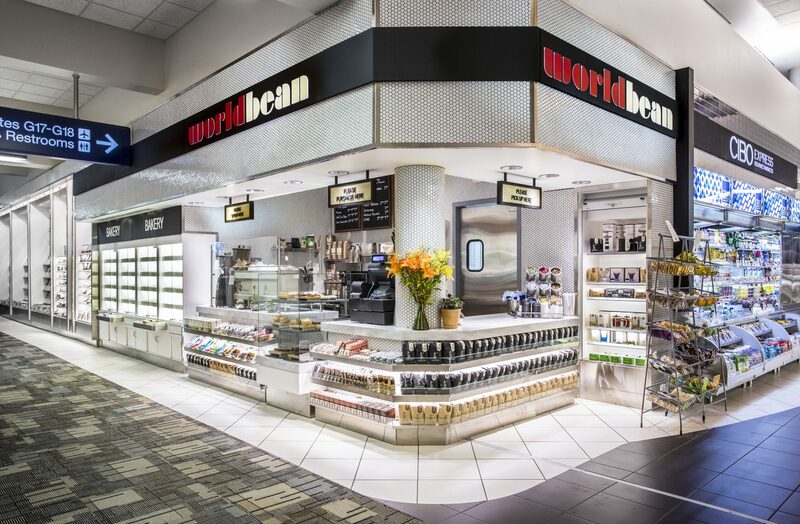 With a focus on ethically sourced, locally roasted beans, partnerships with local roasters, top-line in-terminal brewing equipment, and a rigorous training program for crew members, World Bean ensures a unparalleled coffee experience that benefits both guest and community.